Thank you Pinterest. This was easy and delicious. Pop popcorn - microwave or stovetop, your choice. Personally, stovetop popcorn makes me giddy like a little girl, so it's my preference. 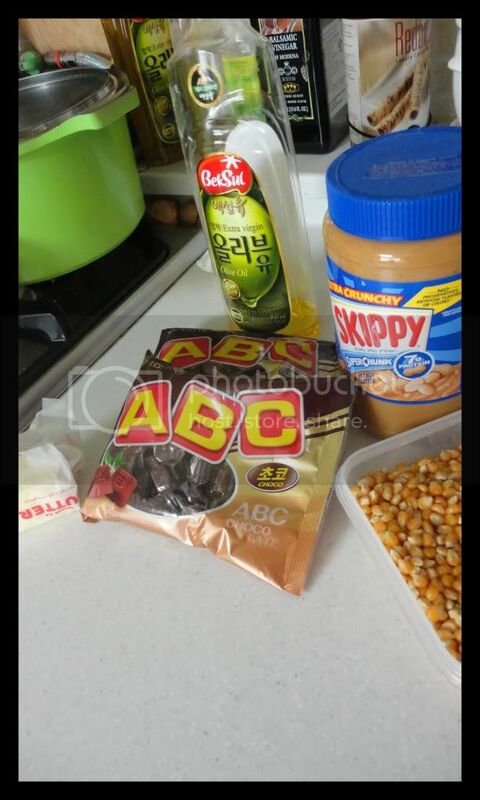 Pour choco-peanut butter over popcorn, place in the fridge (unless it smells like Kimchi, then put it on the 'verandah' if it's winter) for 30 minutes until choco-peanut butter hardens a bit.